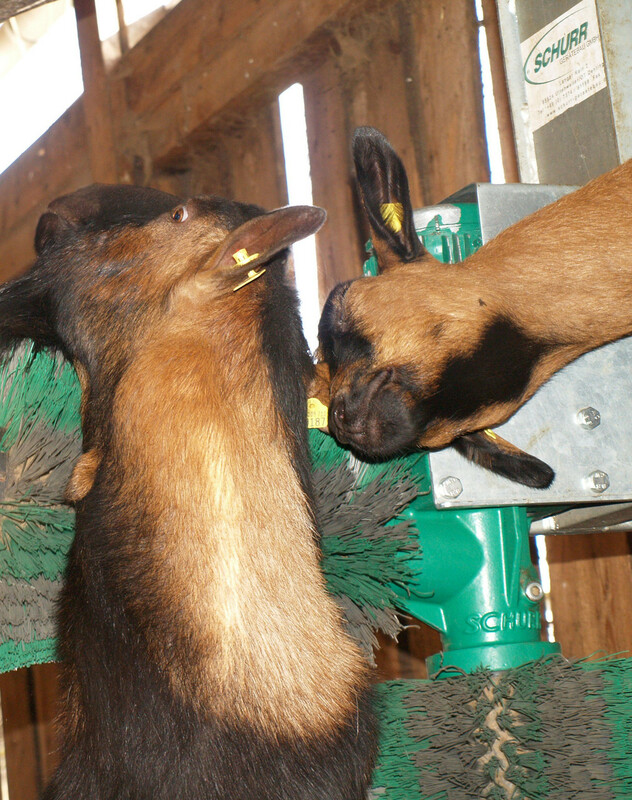 Goats love to brush and massage. 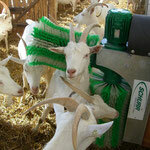 A goat brush is gladly accepted and used regularly by the animals! 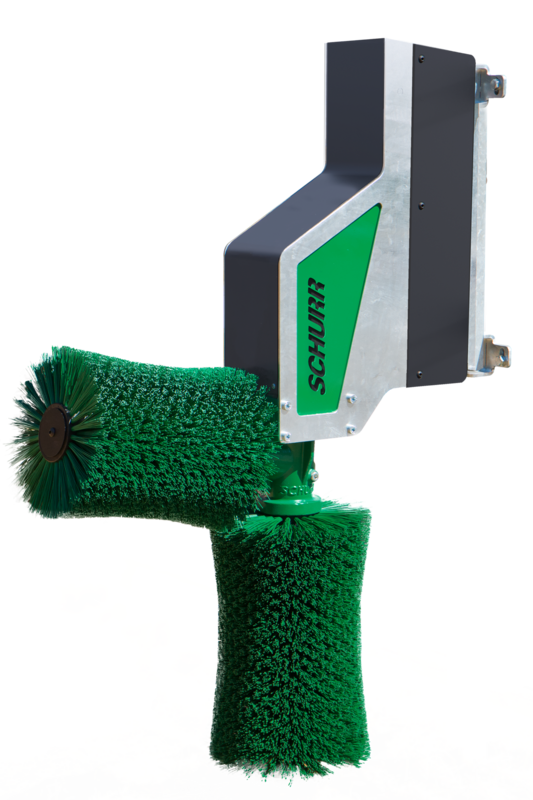 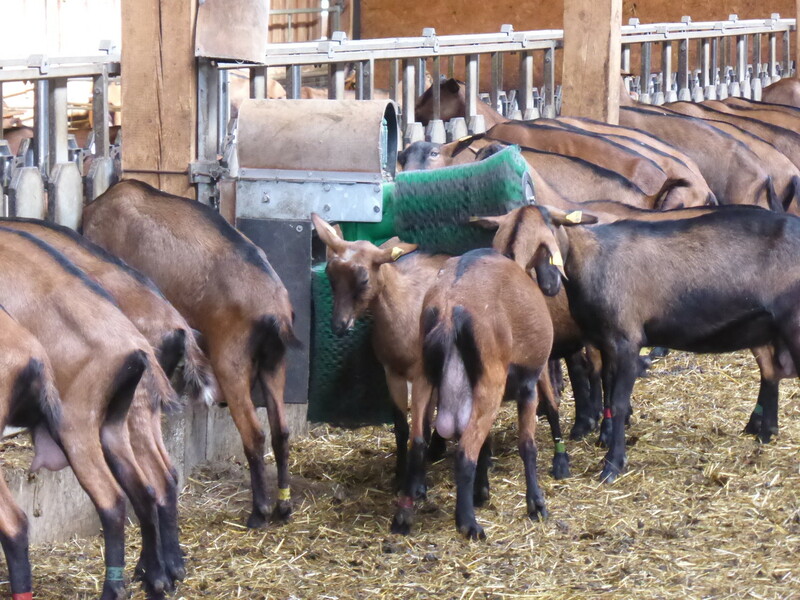 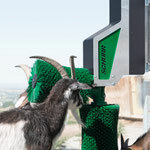 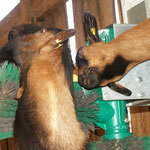 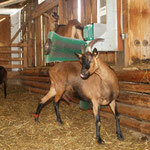 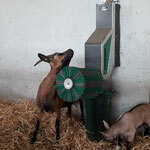 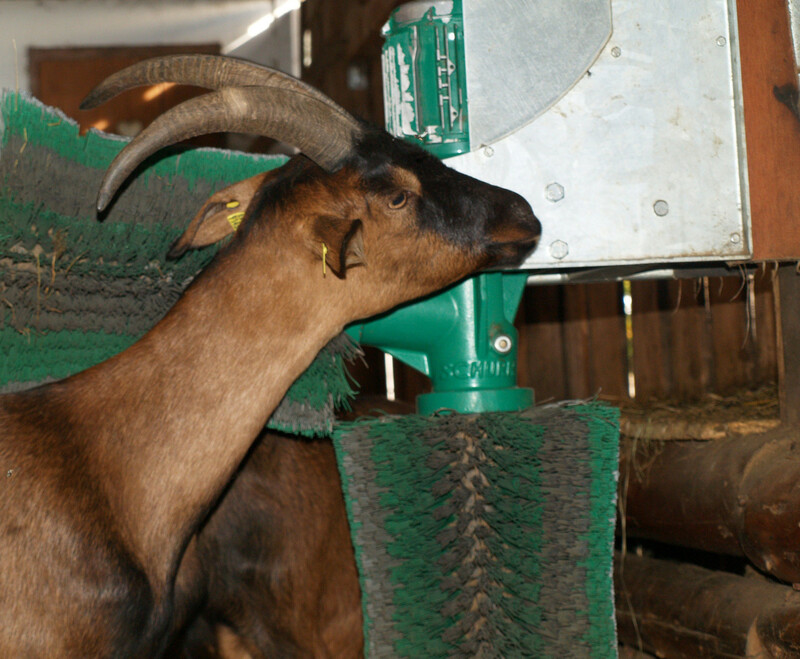 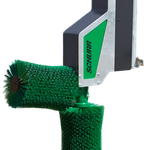 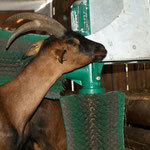 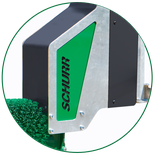 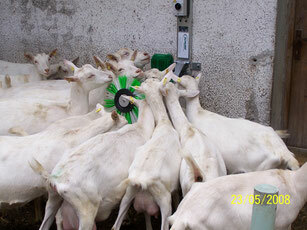 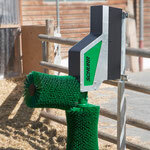 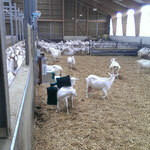 Thousands goats are happy and enjoy their automatic SCHURR goat brush. The goats love it, farmers also! 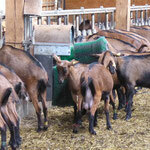 Goats are aside cows the most important milk producing farm animal. 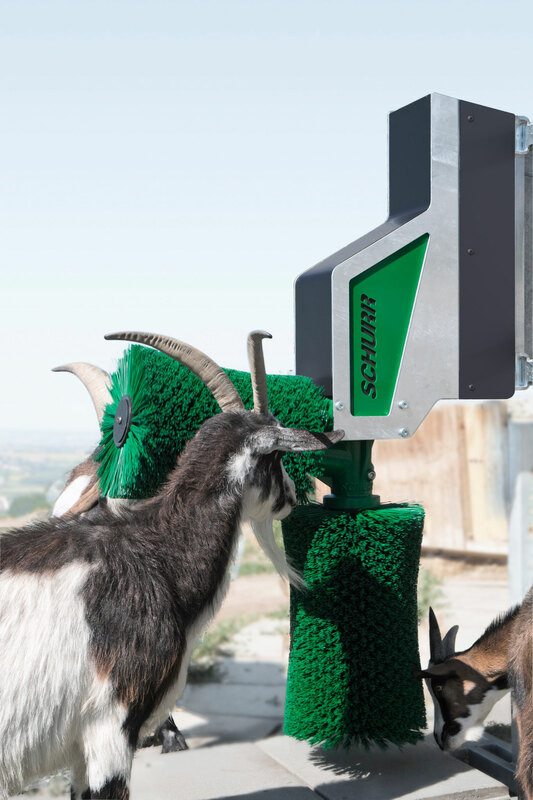 Your goats are giving you their best - do the same for them! 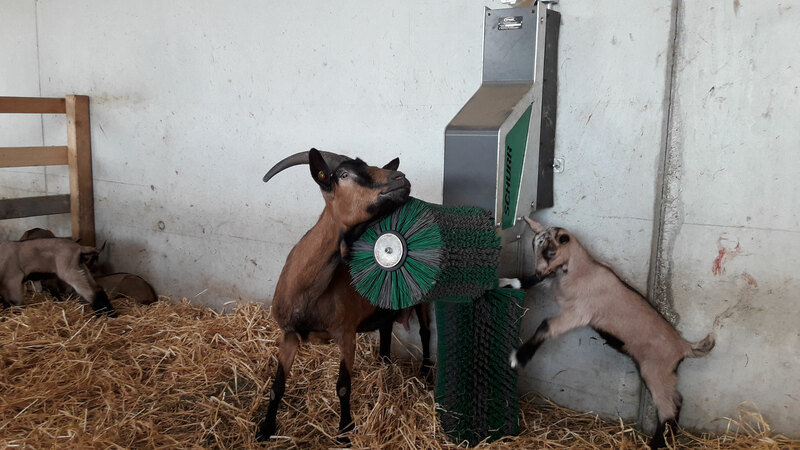 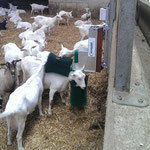 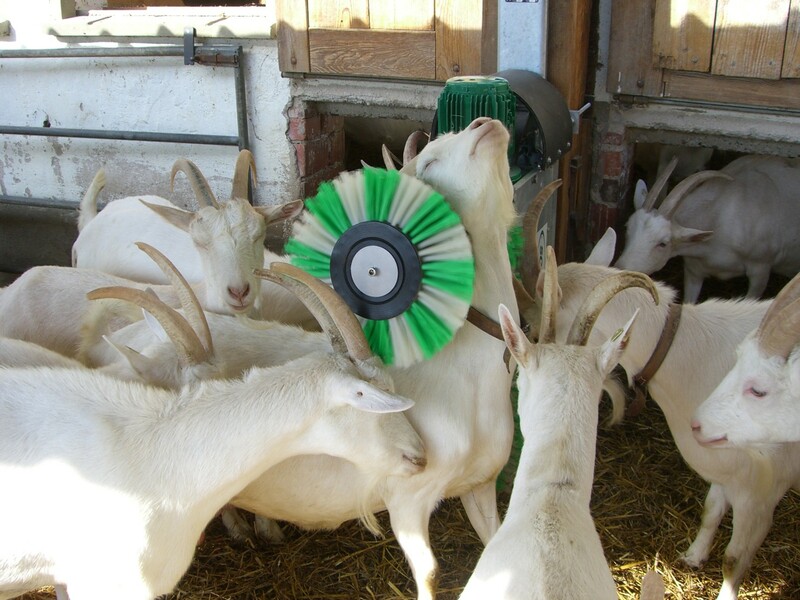 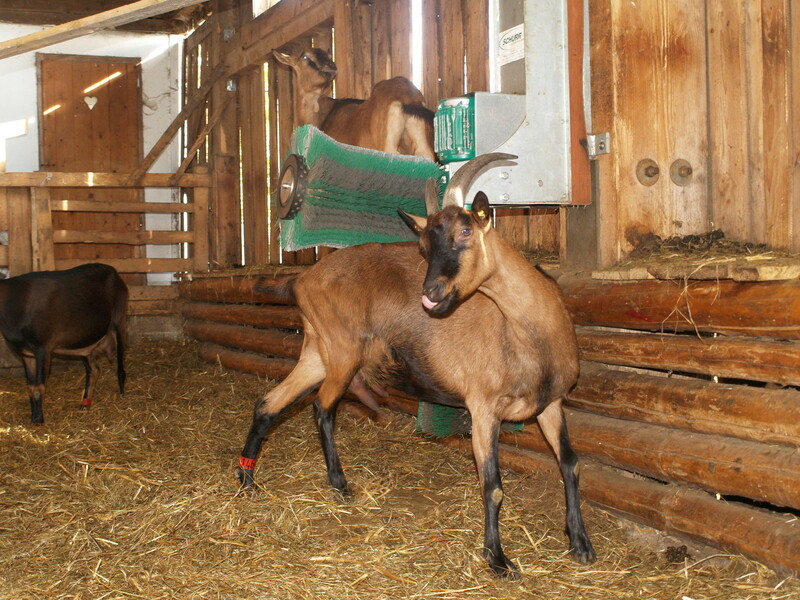 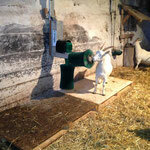 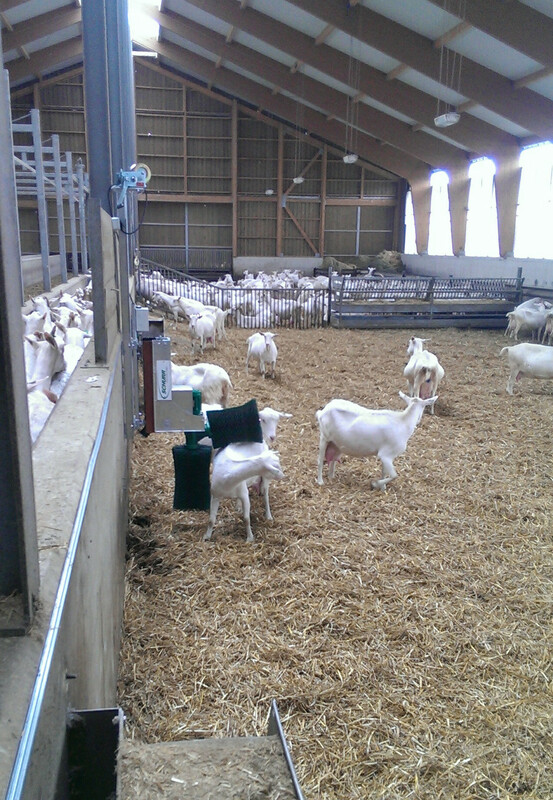 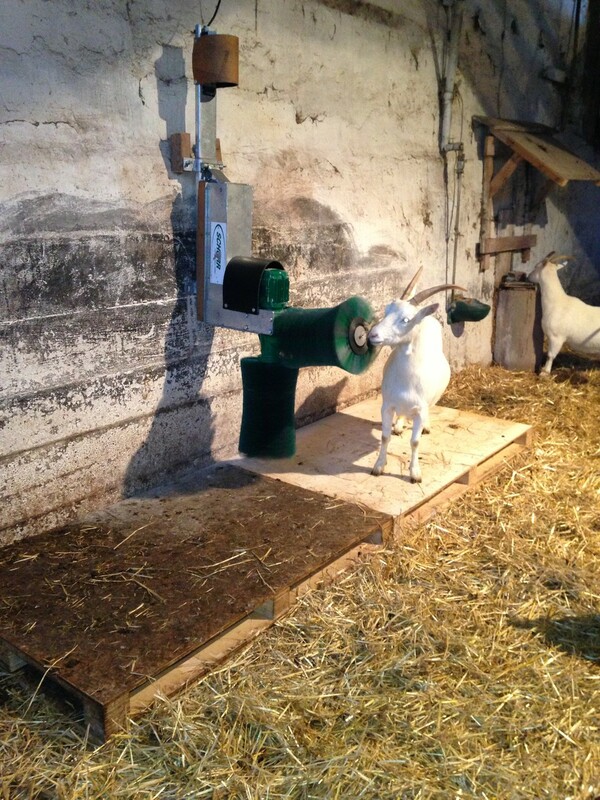 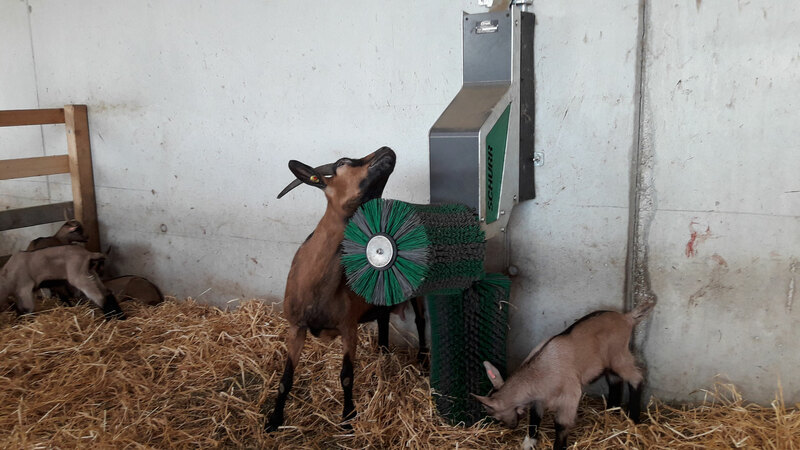 By raising the goat brush, the device is automatically turned on by the goats. 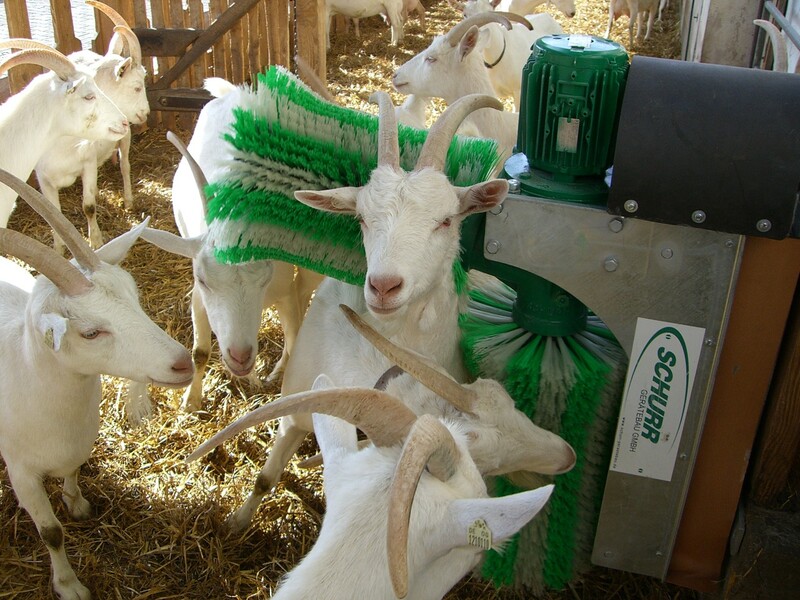 As long as the animal is under the brush, the brushes are turning. 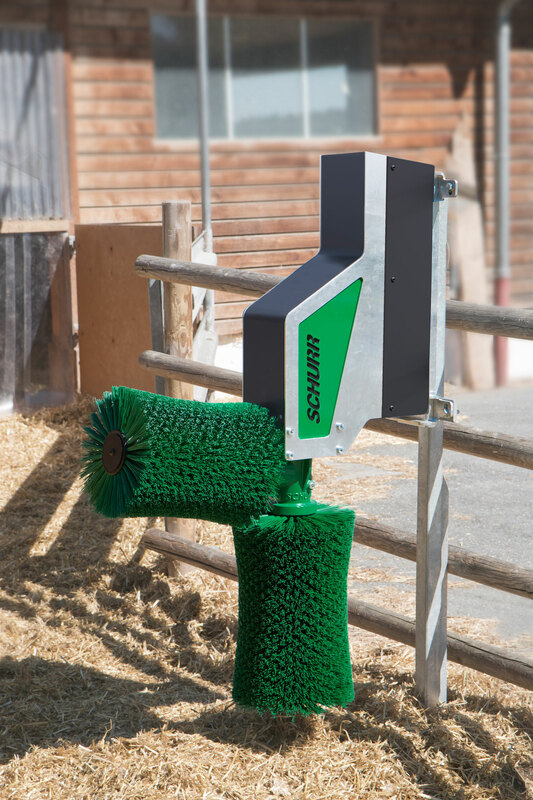 If the animal leaves the brush, the device switches after a set time again. 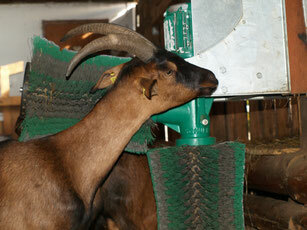 Horned animals are getting wild for brushing and grooming their sides, breast and back. 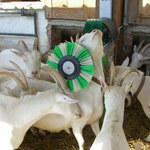 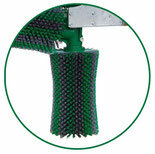 Our goat-brush is designed for unproblematic use of horned animals. 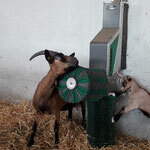 There is no higher risk of injuries of your animals. 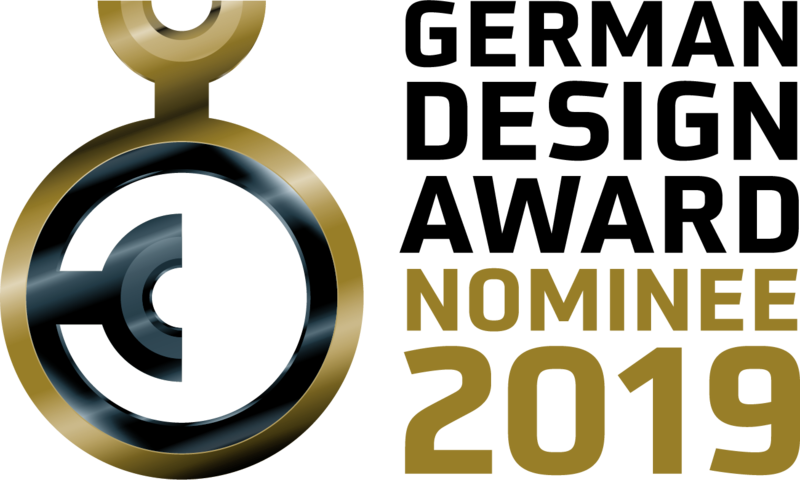 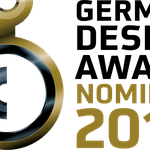 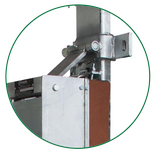 All the advantages and characteristic of our products are based on long test runs and experiences over several years!